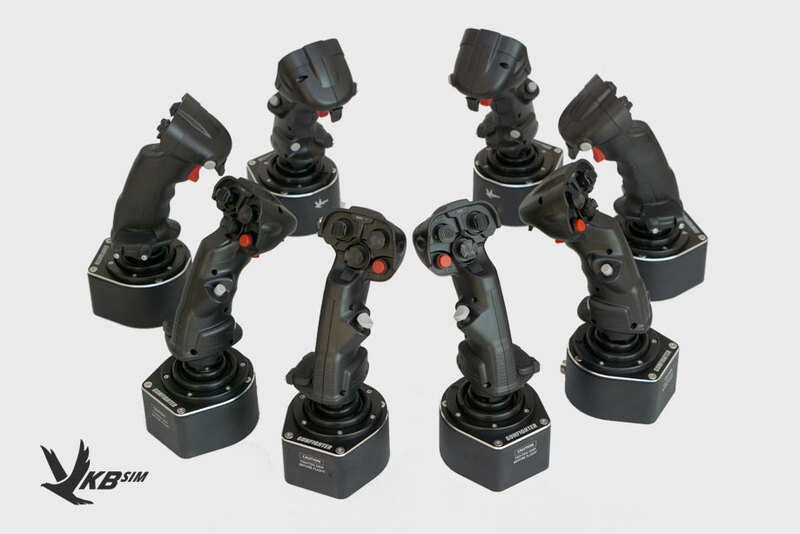 VKB-Sim is looking for testers for their new KOSMOSIMA grip and that could be you if you meet their criteria. I’ve got all the latest on VKB’s newest product! Twist grip and modular controls for space sim pilots, and flight? The new KOSMOSIMA is the first VKB stick to be designed without a real world analog as the base although the new grip does take a number of practical realities from real sticks into consideration. What is interesting is that the stick is meant to be available as both a left and right hand stick which of course is catering to the space sim crowd where dual sticks is quickly becoming the norm there. I think this stick also represents something of interest for pilots who are used to flying in the atmosphere as well as space. With trigger, buttons, and plenty of hat switches, the KOSMOSIMA is an interesting and potentially appealing stick for another reason: It has a new twist axis that VKB has developed. 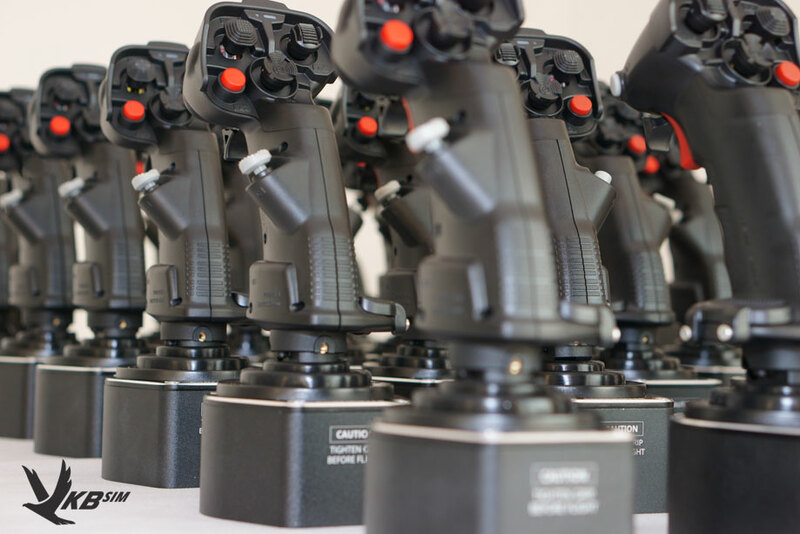 A twist axis that can also be mounted on a Gunfighter base is very interesting potentially incorporating the best of both worlds – with the smooth, precise, and metal based gimbals with a twist functionality is a rare thing in the world of joysticks and grips these days. Not everyone wants a twist stick but some do and this stick appeals. The KOSMOSIMA also has a modular component where you can customize the position and location of controls on the grip. How this is done and how it gets recognized by the grip and by the software is an interesting detail still to be learned about. VKB-Sim has put the call out for beta testers for their new sticks who they want to get into their hands for testing and comments as quickly as possible from the sounds of it. If you think you fit what they are after, go and visit their forum to see how to apply and gather more information on VKB-Sim’s newest grip. Damn. No one ever opens tests to “Guys who have been flying with their X-45 Joystick since the early 2000’s and are eagerly looking to upgrade without their significant other finding out they dropped a car payment on a joystick”. I squirrel away a few dollars here and there ever month for the more frivolous purchases and a new stick and throttle are on my long range plan once I save enough and they come out with what I’m looking for. I am awfully interested in the KOSMOSIMA though as it may end up being in a sweet spot for grips offering a high quality twist stick for a mid range price. The high end is well covered, the low end is well covered but precious few sticks and grips sit right in the middle. The stick definitely looks good. I’ve been eyeing their joysticks along with a few others, hoping to upgrade my ancient X-45 someday in the future. I will be sure to keep an eye out for it once they start hitting production. Nice to see high end sticks dedicated to space sims. This Kosmosima looks great and love the button setup!